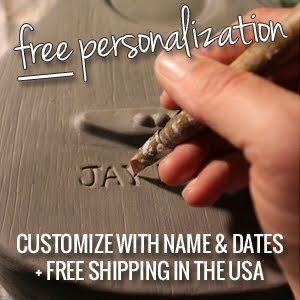 The creative process for the artisans behind these unique urns comes from a place of authenticity and relating to everyday people. They look for the simple things that bring joy. The urns are subjects that represent people's passions and interests, reflecting their individuality and honor a life well-lived. Each of these urns is a work of art produced solely by the team of two artisans. 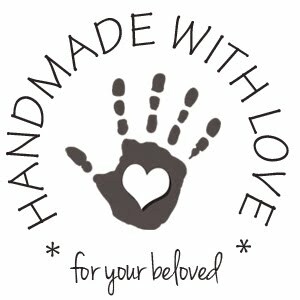 Their hands-on approach produces artisan quality sculptures that will vary slightly from piece to piece. No two will ever be exactly alike creating an heirloom-quality, unique work of art. With a subject in mind, the artisans strive to create an iconic sculpture by modeling a clay representation. When they are satisfied with their model, they create a plaster mold of it. With a mold they employ a traditional slip-cast method to produce a hollow-bodied clay vessel. Once the slip sets up in the mold and the clay piece is removed, the unfired clay or “greenware” is shaped, added to and refined as needed. At this stage, the artisans place high-temperature wire hangers into the clay body for wall-mounted pieces and hand cut the vessel’s opening for the inurnment hatch. Once the greenware sculpting is complete, the piece air dries and is fired in a kiln to temperatures nearing 2000°F. The application of extreme heat to the clay body causes a chemical and physical reaction creating a permanently hardened material. The urns are hand-painted either before or after the kiln fire. A variety glazes or oxide washes are used in combination with acrylic paints, metallic waxes and a sealer to create the finishes of each product. Each urns takes about five to seven days from cast to finish. 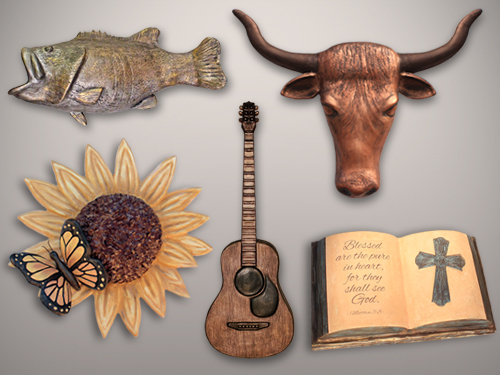 We are so excited about these new Ceramic Cremation Urns! The Sunflower with Butterfly Ceramic Cremation Urn is a vision of happiness! It's really a wall sculpture, with a compartment cut out of the ceramic body, in the back of the piece, where the ashes are inserted (with or without the bag in which they are placed by the crematory). It's a perfect cremation urn for a gardener; someone who was born in, or who loved summer; or simply a nature lover at heart. A sweet Monarch Butterfly rests gently on "The Sunflower with Butterfly Ceramic Cremation Urn". Check it out installed in a home, as a wall hanging - so great! I can think of several people who would absolutely love to spend eternity in the Bass Fish Ceramic Cremation Urn! Again, the compartment for ashes is cleverly carved into the back of the piece. It's a beautifully shaped sculpture. These urns really don't look like cremation urns. They're clever, they have character, and they're extremely well crafted. Just look at the personality in this fish sculpture!